Did you know that about 70% of countries remain unprepared to stop an outbreak or other public health threat before it spreads? 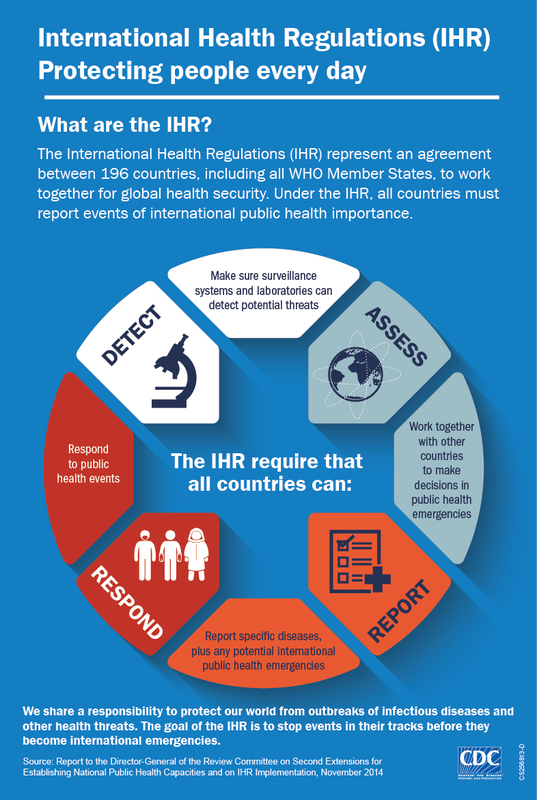 The International Health Regulations (IHR) are a framework to help countries better report and respond to public health emergencies that have the potential to cross borders. 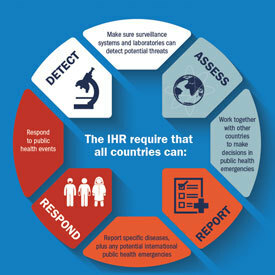 CDC has devoted a series of articles and infographics to helping you understand how the IHR are connected to global health security, as well as the impact these important regulations have on the work we’re doing to keep people safe around the world. Learn more about why the IHR matter to your global network. Check out the CDC webpage for quotes, graphics, and key links.